The world is making sure we know that CHRISTMAS IS COMING. And that’s why I am getting many requests to share products with you here on the blog. As a US Family Guide blogger I get offers to share with you, and a free product to try in exchange for my honest review. TurnGram is the perfect gift for everyone on your list…from your closest friend to that hard to buy for relative! For a few bucks a month, TurnGram will select photos from your Instagram feed based on instructions you provide and deliver them directly to the door of your friends and loved ones. 30 Days Free of the Most Unique Holiday Gift – Get your first month FREE when you sign up for TurnGram today! No coupon code required. 100% money back guarantee if you are dissatisfied with our service in any way. Don’t miss out! Sign up today! Doesn’t that sound cool? I’m opting to have my pictures sent directly to me. 🙂 I’ll be sure to come back and let you know what I think with TurnGram after I receive my first set. I’m here today to give my honest review of the AdoramaPix photobook I told you about several weeks ago. I worry that you won’t trust a review that is as glowing as the one I am about to write. But I assure you that even though I received this product ($50 value!) for free, I am giving you my honest opinion, as always. So the way this works is, you head over to the AdoramaPix Website and select the type of book you want. There a variety of designs and templates depending on what kind of book you want to make. Are you commemorating a special occasion? Collecting vacation photos? Making a gift book for someone special? The design I chose was specifically for highlighting iPhone pictures. Yes, y’all, I made my very own coffee table book and I could not love this thing more. And it was so easy. The hardest part was figuring out which pictures to use. The second hardest part was laying them out. There are tutorials on the site to explain how the process works–for that matter, you can let the program lay them out at random. You can even import a layout from your own program if that sort of thing makes sense to you. It’s not something I have any experience with so I let the program do it for me and then moved them around until I got them where I wanted them. My book is incredible. Does that sound vain? You would never believe I took the pictures with an iPhone. I waited too long to post this review so the coupon code I had to offer has expired. HOWEVER, AdoramaPix is always running specials, and they have sales going on for the rest of the month. And I don’t know if y’all remember, but I also ordered some metal prints from them that were incredible. So don’t limit yourself to the photobook. Here are more pictures but they don’t do it justice. The colors are beautiful. Do yourself a favor and take a look at the AdoramaPix website and be sure to let me know if you buy anything! Y’all may remember that not long ago I shared a review of some items I received from AdoramaPix. If you didn’t read it, here’s the summary: I loved them. Now I have another opportunity (because I’m a U.S. Family Guide Blogger) to sample another of their products and share my thoughts with you. As usual, this opportunity for me includes one for you as well: a coupon that you can use to order the same item I’ll get for free (in exchange for my HONEST opinion). You can give AdoramaPix a try now, or maybe you want to wait until I post my review. The offer will be available for awhile. Your memories deserve more than a lifeless screen! Breathe life into your photos and turn them into beautiful keepsake photo books that will last for generations. AdoramaPix’s custom books are high quality and display your images in rich detail. Choose from gorgeous linen, hardcover and leather covers as well as 6 stunning paper finishes. Stop swiping and start printing your family memories with AdoramaPix photo books! I’m pretty excited about this offer because 1) I already have experience with this company and am confident I will like the product and 2) Like many of you, I’m sure, I have a bunch of pictures on my computer which I have never printed out and am never likely to without an excuse like this one! Check back in a few weeks to here what I thought about my photobook! Does that look cool, or what? Doesn’t that sound neat? Check back soon for my review. I know that Fall won’t end officially for another month. But let’s face it, the best part of it is over. There are no more beautiful leaves on the trees and everyone is thinking about Christmas. Every day (almost) since the first day of Autumn, I’ve made a picture to share on my blog using my own photographs and suitable quotations. 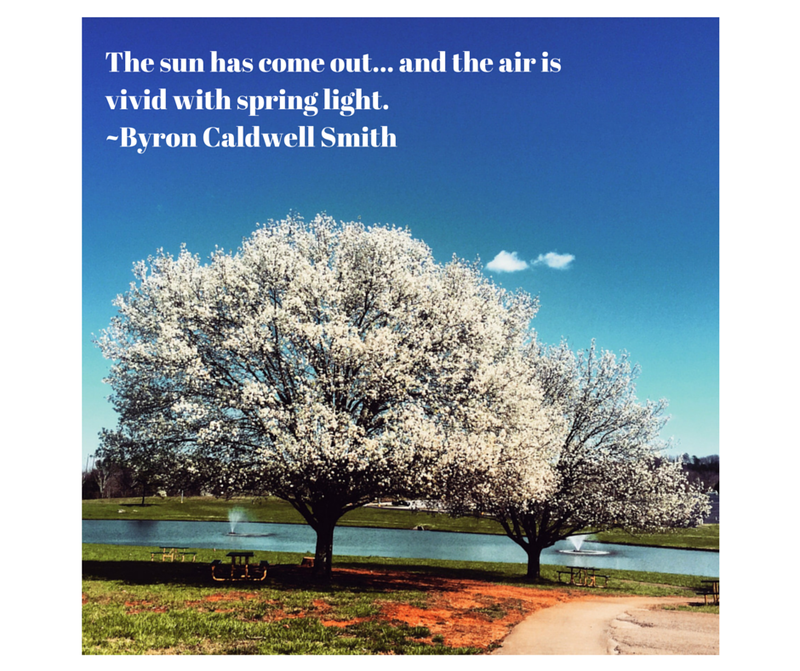 Just as I did earlier this year with my Spring quote pictures, I thought it would be nice to put them all together in one post along with a little information about each of them. October 2014, Holloway Cemetery, Knoxville. October 2015, Island Home Park, Knoxville. October 2015, Notre Dame University. October 2015, Victor Ashe Trail, South Knoxville Urban Wilderness. October 2014, Meads Quarry, Knoxville. October 2014, Woodlawn Cemetery, Knoxville. October 2014, Ijams Nature Center, Knoxville. Fall 2014, Forks of the River Wildlife Management Area, South Knoxville Urban Wilderness. September 2011, my back deck, Knoxville. Fall 2014, First Creek, Knoxville. Fall 2014, Campus of Knoxville Catholic High School. October 2014, Forks of the River. September 2015, Will Skelton Greenway, Knoxville. October 2014, Ijams Nature Center. November 2012, Krutch Park, Downtown Knoxville. October 2014, Will Skelton Greenway. October 2014, Stanton Cemetery, Meads Quarry. October 2014, across the road from Byrd’s Chapel Cemetery, Knoxville. It was fun–sometimes challenging–creating these. I hope you enjoy this look back at Fall, a season that always seems to pass too quickly. My daughter and I were hiking on Saturday along the Tennessee River when I snapped this iPhone photo of downtown Knoxville. It was one of those pictures that I knew would be good before I even took it. The greenway we were on is about two miles from downtown, and connects to the Urban Wilderness with over 40 miles of bike/hiking trails. We are extremely fortunate in Knoxville to have access to outdoor recreation in such a beautiful place. This week was Spring Break, and on Tuesday Lorelei and I went on an adventure with some friends, visiting Seven Islands Birding Park for the first time (but I am sure not the last). It was a beautiful almost-Spring day, perfect for taking pictures. We saw a Cooper’s Hawk, so the park lived up to its name! We will be going back to explore and to hike more, and I will share more pictures in a future post.